Typhoon Malakas is now heading towards Mainland Japan and is currently forecast to make landfall in the island of Kyushu later this evening. The eye of Malakas was last located approximately 300km southwest of the city of Kagoshima. Maximum sustained winds are estimated at 195kph with gusts of up to 240kph. Typhoon Malakas is currently moving northeastward at northeast at 20kph. 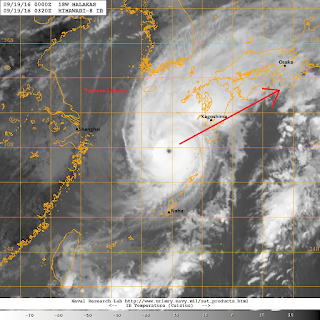 Aided by good upper-level environment across Eastern China, Typhoon Malakas was able to regain some intensity in the past 36 hours. Latest satellite image shows a cloud-free eye surrounded by strong convective activity as well as a near symmetrical appearance along with excellent poleward outflow. It is forecast to retain its Category 3 intensity before rapidly weakening as it crosses the Japanese Islands. 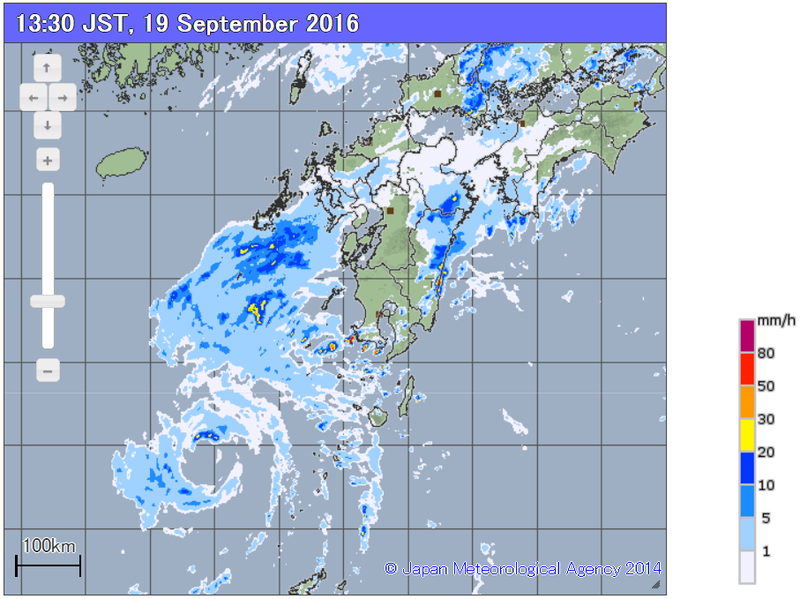 Latest radar image from Japan shows the eye getting closer to the island of Kyushu. Outer rain bands have begun to make their way towards the region with heavier rains about to move inland in a few hours. Due to steady northeastward movement of Malakas, rainfall accumulations won't be as high as that seen in parts of Taiwan and Southeastern China with Typhoon Meranti. Nevertheless, we are still expecting rainfall amounts of anywhere from 100 to as much as 300mm. Some mountainous areas in Kyushu, Shikoku, and Western Honshu, may receive upwards of up to 500mm in the next 2 days. Typhoon Malakas is forecast to make landfall in the prefecture of Kagoshima in Kyushu Island later this evening. 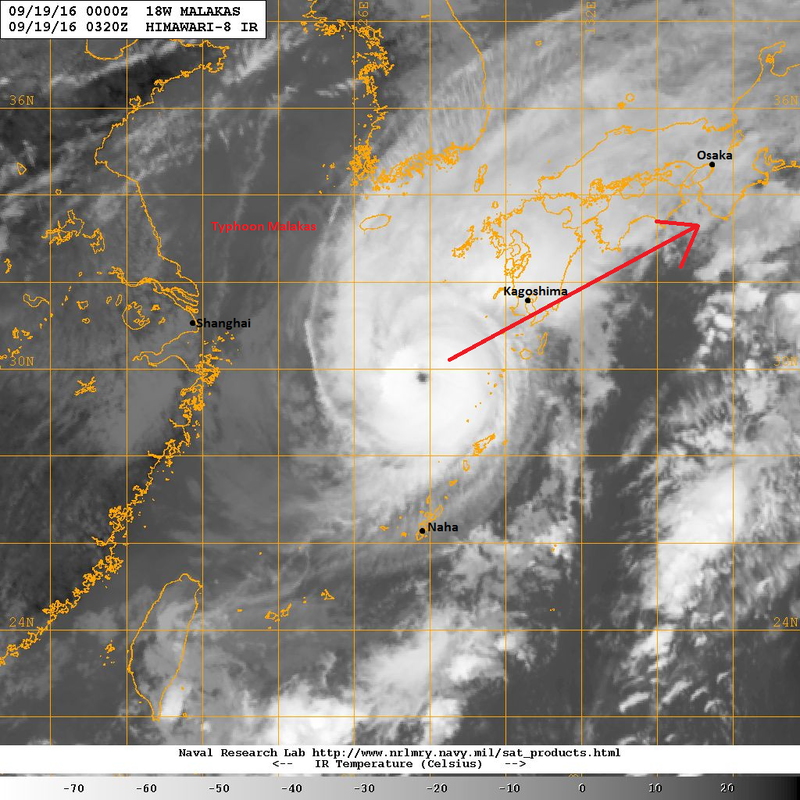 It will then track northeastward brushing the island of Shikoku by tomorrow and then onwards towards Southern Honshu. 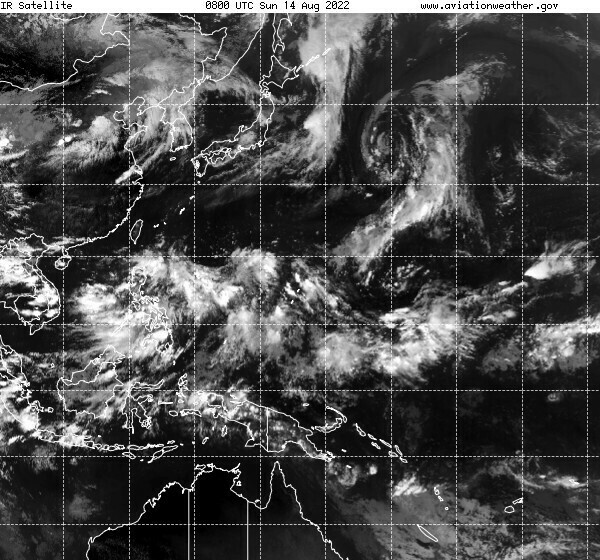 Malakas is also forecast to rapidly weaken as upper-level environment becomes hostile for tropical cyclones.